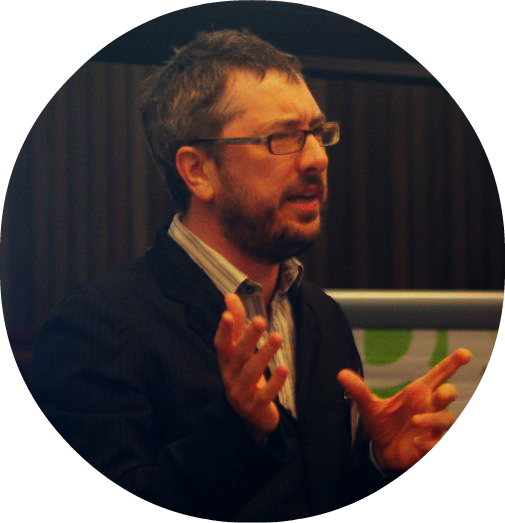 Dr. Damian O’Doherty is a senior lecturer in Organisation Analysis at Alliance Manchester Business School. Damian is currently writing a book detailing an ethnographic study of a UK international airport where he spent over 2 years conducting fieldwork between 2009 and 2012. A site of contested political, social and economic agendas, this research takes up the challenge which airports pose to our current theoretical understanding of organization and management. Early findings suggest that the operation of airports exceed existing paradigmatic boundaries and demand serious reflection on the nature of social scientific research. He has published several papers that lay out the innovative nature of this study (Organization, 2009) and has presented a number of early papers based upon the original empirical material at a number of international academic conferences. A BBC film was made about this research and was broadcast in December 2010 and he has presented to a number of industry and policy making institutions in the UK and European aviation industry including the British Aviation Group and various international tourist associations interested in the economic development potential of airports. This current research builds upon a longer term interest in questions of order and disorder in organization that was first addressed in a quartet of papers that looked at the question of theory in organization analysis; radical developments in “anti”-methodology; developments in subjectivity and identity; and pedagogy in management and organizational analysis. He has been published in various international peer reviewed journals, including Organization, Organization Studies, Sociology, Sociological Review, International Studies in Management and Organization, and Anthropology Today. He is editor of the journal Culture and Organization and is board member of the International Critical Management Studies association.